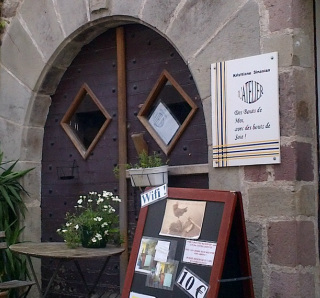 You will find internet facilities and WiFi along the camino, but in some albergues they usually have one or the other. In the places that you are staying, where there is no WiFi signal you will normally find a computer or two with internet access. You will have to pay for this service using a coin slot to get online. WiFi is usually free. If you do not find either WiFi or Internet facilities in your chosen accommodation, you will probably find free WiFi in the bars and restaurants in the town or village that you are in. They tend to advertise outside their premises in order to bring in the customers, but if you don't see an advertisement board, you can ask inside. The WiFi is only for customer usage, though, so be prepared to sit and at least buy a drink. In most of the albergues, hostels and hotels, or bars and restaurants that have WiFi, you will need to to key in a password in order to get online. It will be posted up somewhere, or you will have to request it. Though a lot of people do not like to carry phones on the camino, I found that they were absolutely necessary when it came to booking accommodation ahead of time. You might also need one in an emergency, or to call home when you need a familiar voice (hearing my husband’s voice from time to time really spurred me on during rough days). Using a Spanish SIM card from providers such as Yoigo, Orange, Movistar and Vodafone, is one of the easiest way to make calls. You can purchase SIM cards with pay-as-you-go credit which will cost you from around €10. You can purchase very inexpensive phones locally, or you can bring your own unlocked phones.